Fortunately for me, my job can bring to some fantastic places, not least of which was the Willie Mullins yard, in Co. Carlow, Ireland on a cold but dry and sunny winter morning. 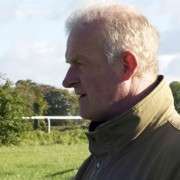 Despite being Ireland's Champion Trainer with an enviable list of horses under his charge, finding his yard is pretty tricky if you're not familiar with the area. There's no showiness or huge signposts, in fact it's so well nestled into the Irish countryside that you could easily miss it which is probably the point. 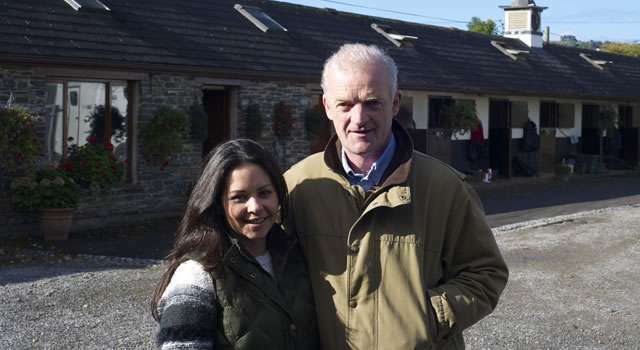 Initially I thought I was just going to get a quick tour of the yard and the facilities so you can only imagine my surprise when Willie Mullins himself met us at the car to welcome and show us around. So it was on with the wellies and off we went to the paddocks where the second batch of horses of the day had just come out for their warm-up. We followed them up to the gallops where Willie (we're now on a first name basis) went through the prospects of each horse while generally chit chatting away like we'd been friends for years. We were privileged enough to watch the likes of Hurricane Fly, Champagne Fever, Made in Germany and Annie Power work out, chat to the sable lads and lasses, watch as Gail (stable lass) performed a scope on one of her charges, chat to the equine dentist who showed us all the elements to cleaning the horses teeth – which is a fascinating procedure – before heading back to the gallops for the third lot of horses to start their work outs. Such was his ease that when I came back from having seen the scope he asked me how it went. He meant it literally. I then, at lightening speed, had to recall the horse and exact outcome for him as he figured that I saw it so I should be able to tell him how it went. Of course he's right but that didn't stop me from breaking out in a sweat while simultaneously thinking “Please let me get this right, please let me get this right!”. Now I know that when you do a job long enough and you've won almost every accolade imaginable that certain things come easy to you but I was still stunned by just how much information he retains without ever writing a single thing down. 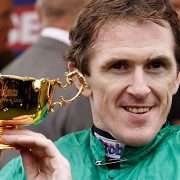 The name of every horse, every lad and lass, their runs, their workouts, their future entries and races, the everyday stuff that most people need to know times a hundred! He showed us around the yard and the various jockey rooms which were filled to the brim with provisions as well as silks that represent all of his owners both past and present while he was lovely and unassuming and incredibly friendly you can't help but be more than aware of just how fast his brain must be ticking over. 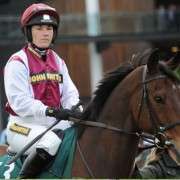 In mid conversation he can stop a horse and pick out an imperceptible change in it's walk or canter and delegate at the speed of light all while never missing a beat. 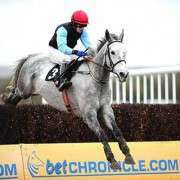 We chatted over coffee talking about the season ahead along with his prospects for Cheltenham and Aintree and his so-called ‘raid' on the UK racecourses, which he duly laughed off and after all was said and done it was time for me to head back home. What I got out of that day was far more than I had ever hoped or expected. 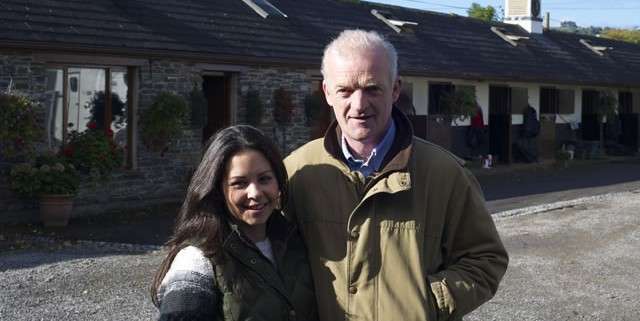 The generosity Willie Mullins showed with his time and knowledge was invaluable and greatly appreciated. 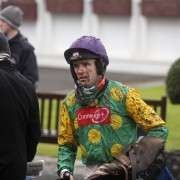 It was one of the best experiences I've had and I consider myself very lucky to have had the pleasure to meet such a genuinely lovely man, not just in racing but ever and I wish the yard all the best for the rest of the season and no doubt will have a few sneaky bets on his Cheltenham contingent when it rolls around!